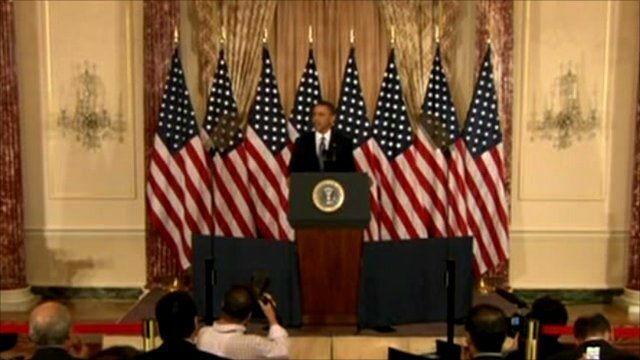 US President Barack Obama says a "new chapter in American diplomacy" has been turned after the Arab Spring uprisings. In a speech at the state department, Mr Obama said the future of the US was bound to the Middle East by forces of economics, security, history and fate. Mr Obama said the top US priority across North Africa and the Middle East was to promote reform, and oppose the use of violence and oppression.